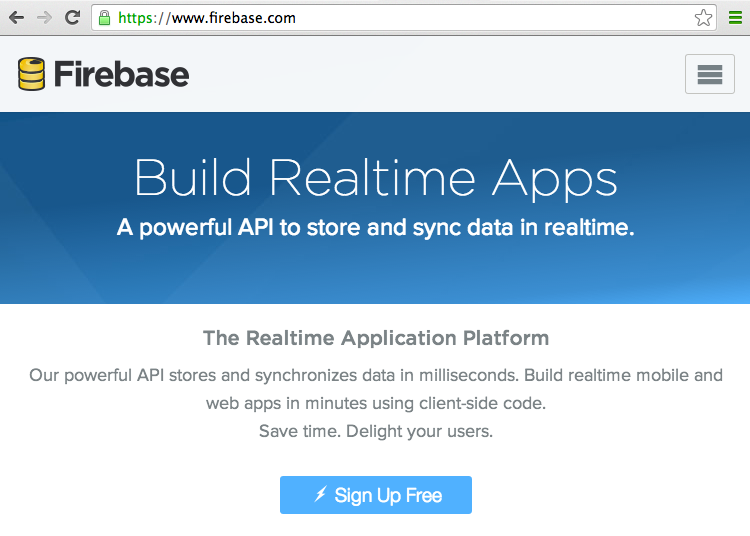 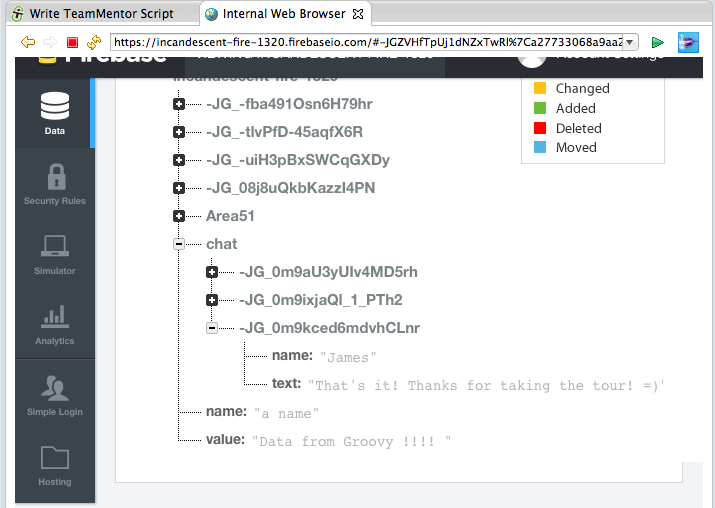 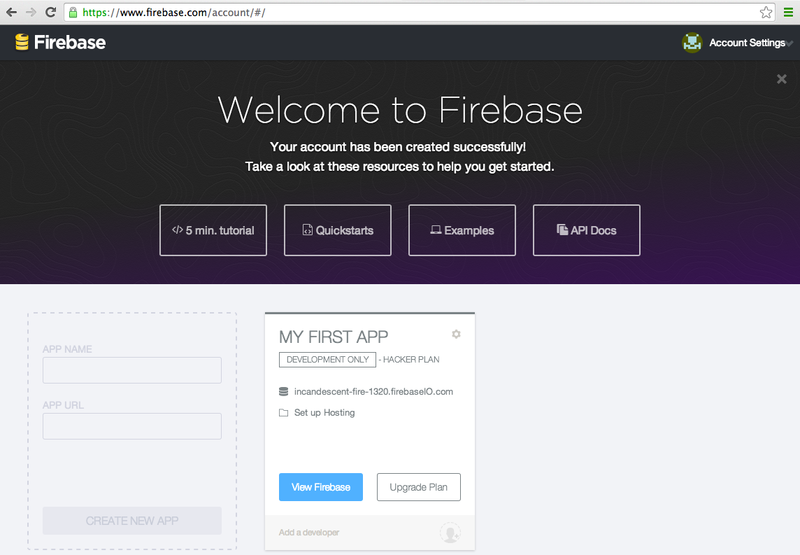 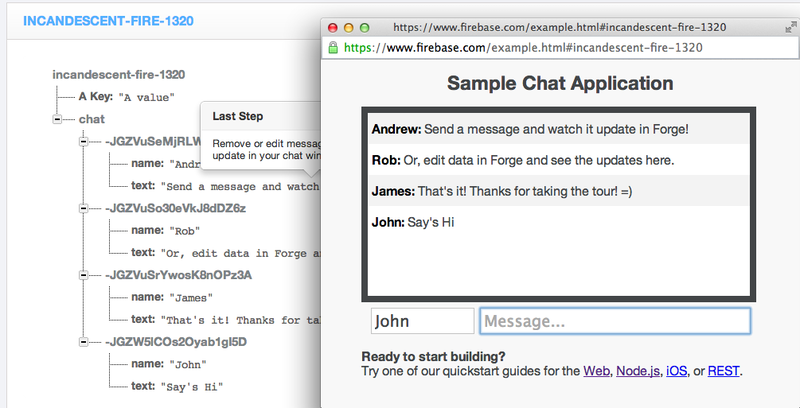 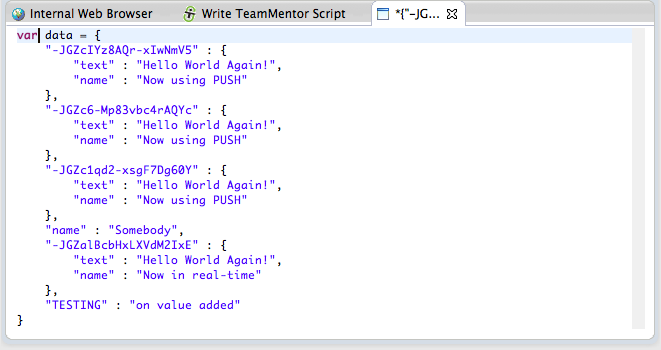 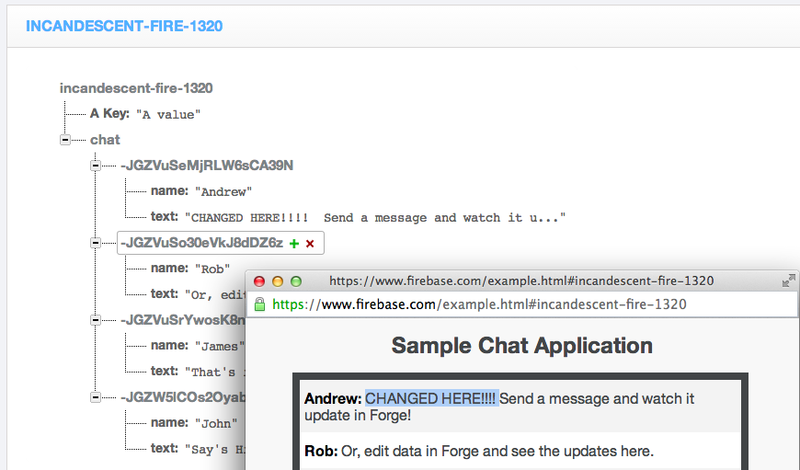 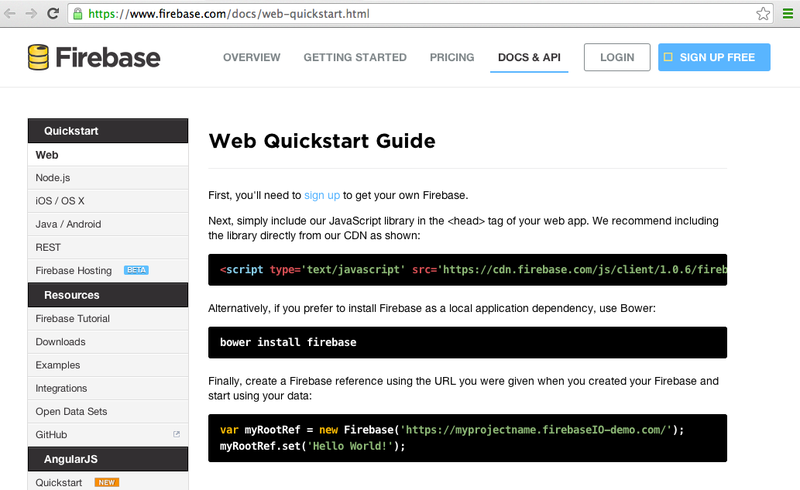 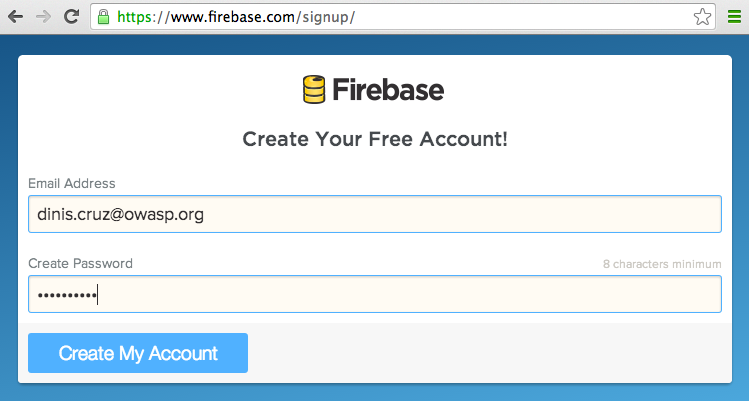 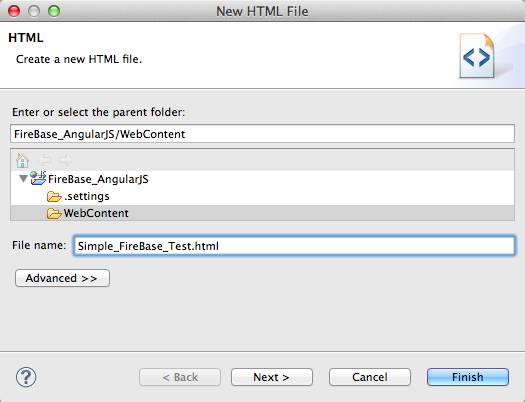 Lets start with creating an account and following the Firebase 5 minute tutorial. 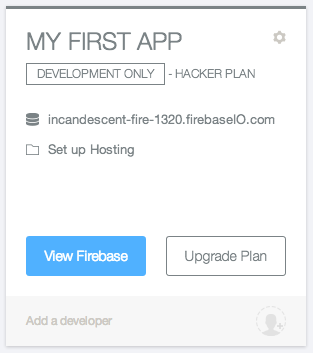 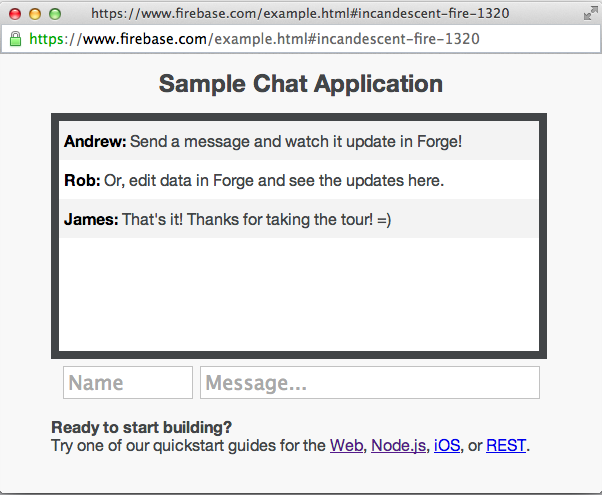 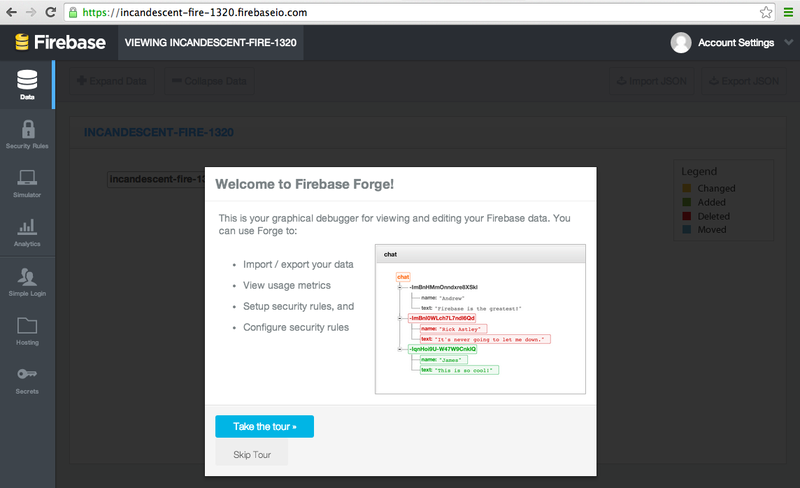 On first load of the Firebase control panel, we are presented with the offer to take a tour, which is a great way to understand the basics of how it works. 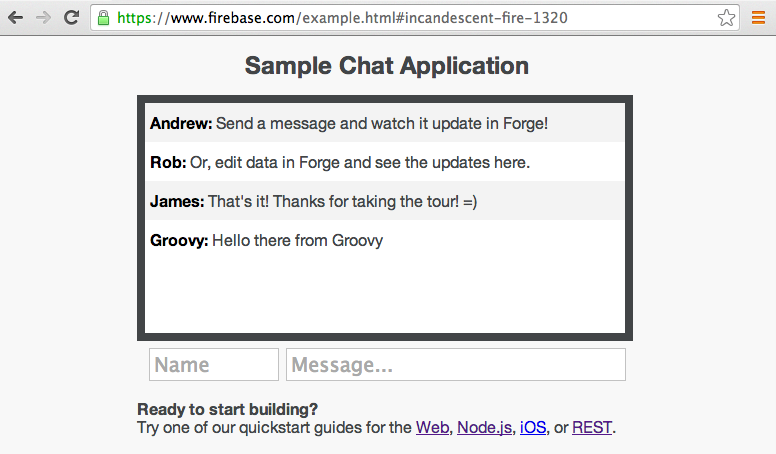 So far we have been setting/pushing data into Firebase, but what is also really powerful, is that we can subscribe to server-side events, and update the browser/ui when content changes. 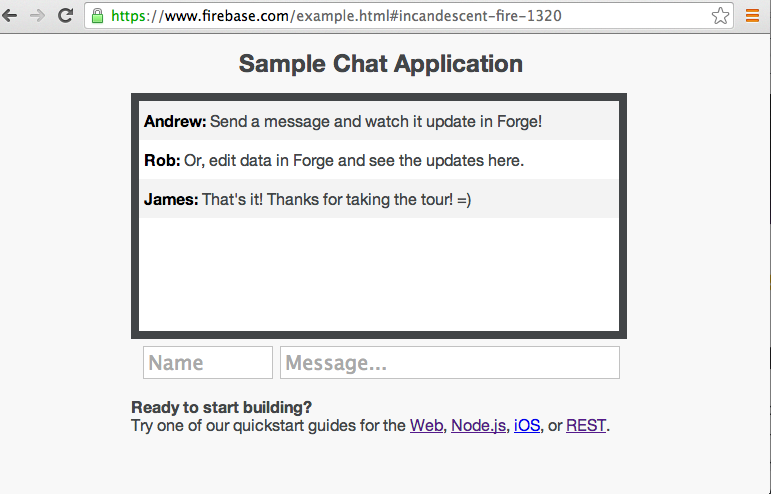 Next thing I wanted to try was to see how a REST change would be shown in real time in the browser. 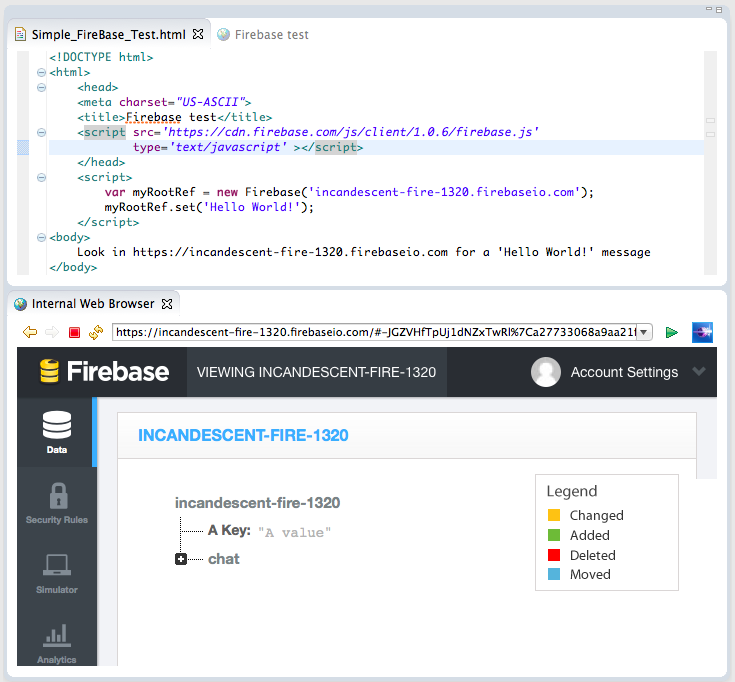 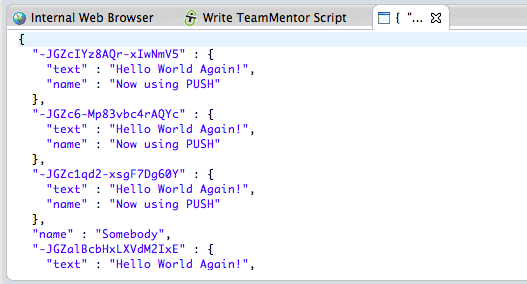 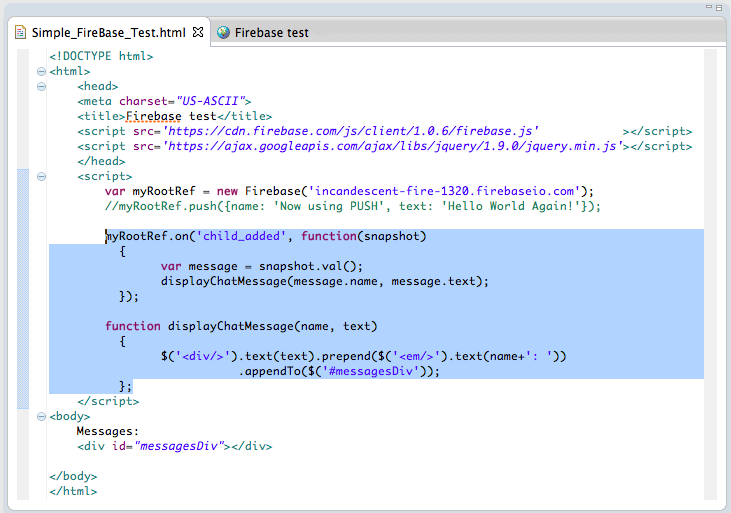 Next test was to see how to use POST (instead of PUT) on the REST API (in order to replicated the Firebase push command). 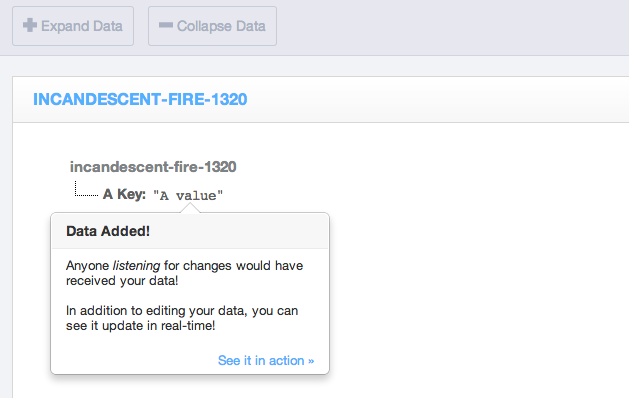 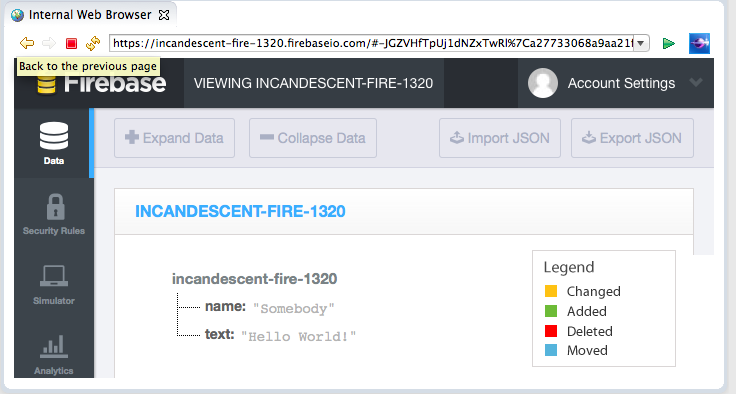 A real cool feature of Firebase is how easy it is to create new namespaces (or areas/objects) for specific types of data. 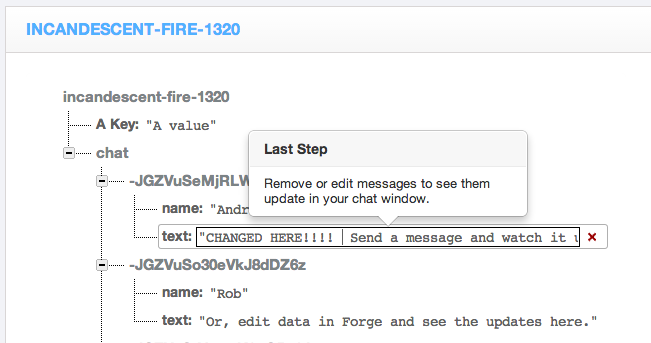 Finally coming back to the chat window (see below), when I saw that example, one of my first questions was "How to programmatically submit data to it? 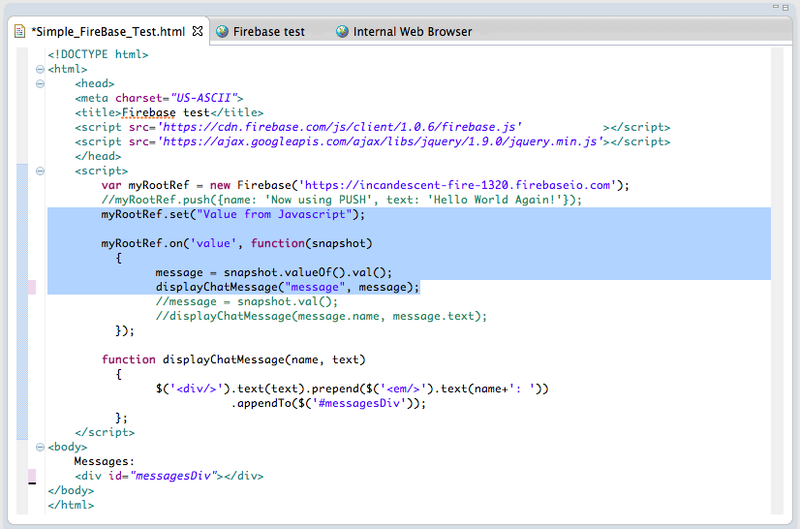 Although both chat application and test html page are not vulnerable to XSS, it is very easy to create an DOM based XSS in this type of real-time apps. 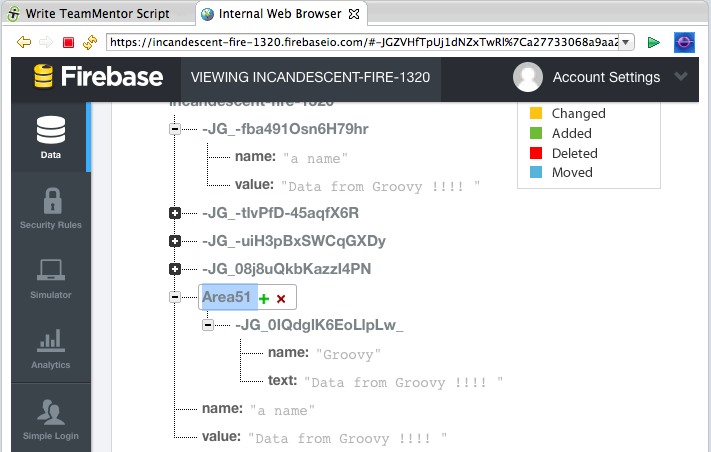 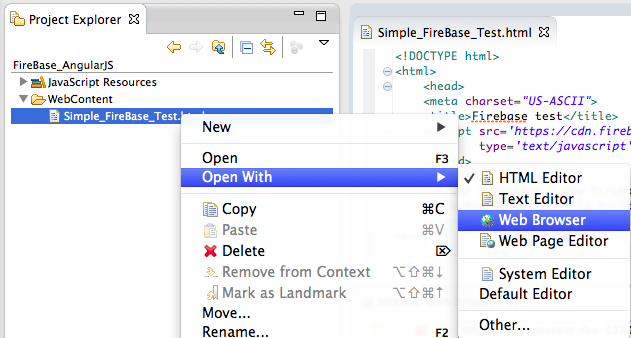 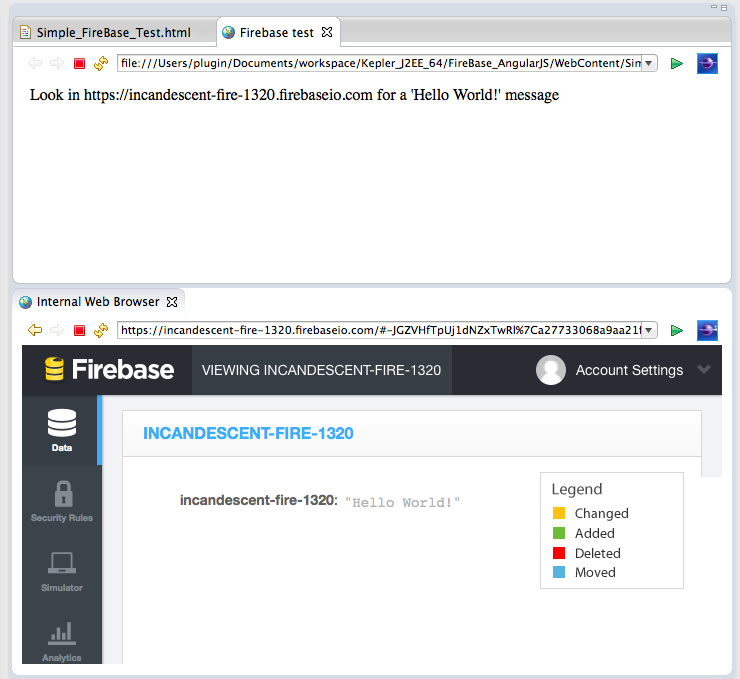 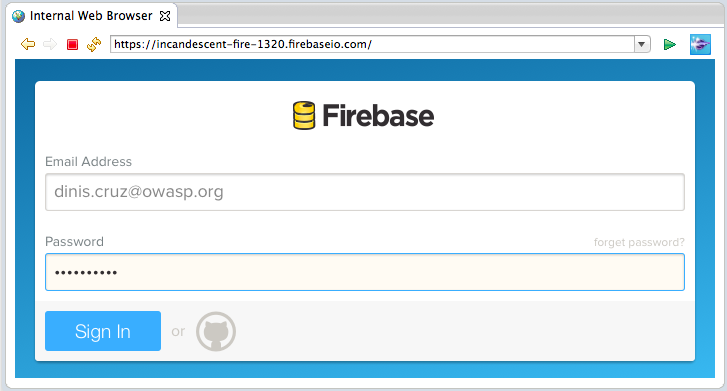 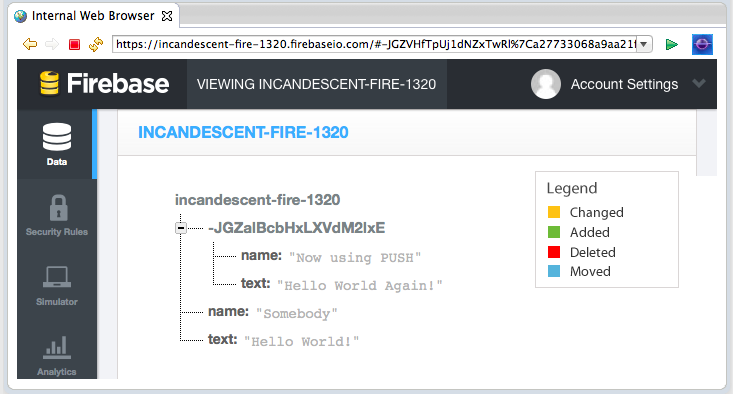 See my next post on XSS considerations when developing with Firebase for more details on this topic.